City, Chalet, Countryside: Get Rustic Charm from Armourshake Shingles Get the look of a wooden shake roof with Class A Fire Resistance Rating. 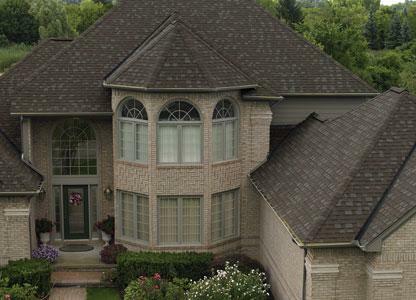 Armourshake shingles give you the same subtle variances and intricate designs youd expect from hand-cut cedar shakes. Deflection of harsh sunlight and algae, so your shake shingles wont fade, warp or break. Instead, Armourshake shingles may maintain a good-as-new appearance years after installation.